Deryck’s concerns are by no means misplaced. In fact, he might as well have been referring not just to Trinidad and Tobago alone, but also to Jamaica, to Guyana, as well as to the entire Caricom region and other developing countries. I say this because it is important for us to understand that although corruption is a global problem which impacts both rich and poor countries alike, the threat that it poses to developing countries is disproportionately severe and, if not checked, can potentially lead to state failure or even state capture. Indeed, it was Mr. Jim Yong Kim, the President of the World Bank, who incisively characterized the gravity of the matter when, on December 19, 2013, he put it this way: “Let us not mince words. In the developing world, corruption is Public Enemy #1”. Defined generally as the abuse of public office for private gain, corruption, first and foremost, erodes the quality of life of the citizenry by diverting public funds away from the provision of critical social necessities, such as health-care, education, water, roads and electricity. Corruption also leads to human rights violations, steals political elections, distorts financial markets, reduces investor confidence, increases the price of goods and services, undermines or destroys confidence in critical public institutions, and enables organized crime, terrorism and other threats to human security to flourish. But for developing countries, such as our regional states, the magnitude of the potential for the adverse socio-economic consequences which corruption portends can be substantial. Insidious in its very nature and in the way in which it operates, the threat of corruption for the Caribbean is foremost in its so-called ‘grand’ forms. Bribery, kickbacks, embezzlement of public funds, cronyism, links between politicians and organized criminal elements, influence peddling, and the abuse of one’s public office for political gain, or to pervert the course of justice, are but a few of its far-reaching manifestations which should be of major concern to us in the region. Many studies have been undertaken in an effort to estimate the monetary costs of corruption to the developing world. The results are staggering. In its most recent report which was released in December, the Washington, DC based research and advocacy organization, Global Financial Integrity (GFI), said that the world’s developing countries lost as much as $946.7 billion in 2011 alone, to corruption, trade mis-invoicing and tax evasion. Even more astounding was the revelation in January, by the Center for Strategic and International Studies, which equated private-sector bribery in developing countries to a tax on growth, which it says is costing at least $500 billion a year – that’s more than three times the total amount of foreign assistance that these countries received in 2012. Separate and apart from these studies, we have also recently witnessed vivid examples of the social upheavals, and the consequential economic and political dislocations, that can occur when emerging economies are afflicted with the perception of corruption and the abuse of state power. The Philippines, Turkey, Thailand and the Ukraine are all classic modern-day examples of this phenomenon. According to Transparency International (TI), Jamaica, Trinidad and Tobago, and Guyana, are currently perceived as the three (3) most corrupt countries in the English- speaking Caribbean, having received CPI scores of 38, 38, and 27, respectively, in TI’s 2013 Annual Corruption Perception Survey, where ‘0’ means that a country is perceived as highly corrupt, and ‘100’ means that it is perceived as very clean. But the available historical data paints an even more damning picture since it suggests that all three (3) jurisdictions are mired in corruption that is perceived to be systemic. The data reveals that over the past 12 years, Jamaica and Trinidad have recorded an average CPI score of 35/100 and 38/100, respectively, while over the last 9 years, Guyana’s average has been a CPI score of only 26/100. Not surprisingly, the perception that these countries are ‘highly corrupt’ is also supported by the World Economic Forum’s most recent survey, the results of which are contained in its 2013/2014 report. According to the report, corruption was ranked as the most problematic factor for doing business in Guyana out of the 16 factors against which 148 countries world-wide were assessed, whereas for Jamaica and Trinidad and Tobago, corruption was ranked as the third most problematic factor facing investors, after crime and inefficiency in government. Although the adverse impact of petty corruption should never be discounted, much of the concern that there is about corruption, in some of our regional states, appears to surround issues of transparency, fairness and probity in major public institutional processes and governmental decision-making. The view is substantiated, in part, by the WEF’s 2013/2014 survey which, on the factors of ‘Public Trust in Politicians’, ‘Favoritism in Decisions of Government Officials’ and ‘Irregular Payments and Bribes’, has ranked Jamaica at 113, 107 and 79; Trinidad 111, 125 and 95 and Guyana 63, 122 and 120, respectively, out of 148 countries. It is also undeniable that there is a rising sentiment from within the region which is saying that the ‘independent’ oversight of public procurement must be a foundation plank of any serious national anti-corruption institutional reform, if probity, transparency, accountability, value for money and competition in public contracting is to be assured. 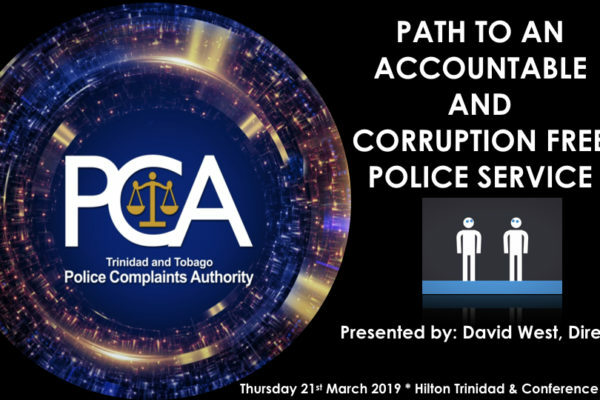 This is currently the case in Jamaica, where there has been widespread and sustained calls for a comprehensive revamping and strengthening of the country’s entire anti- corruption institutional framework, with a major focus upon public contracting oversight. 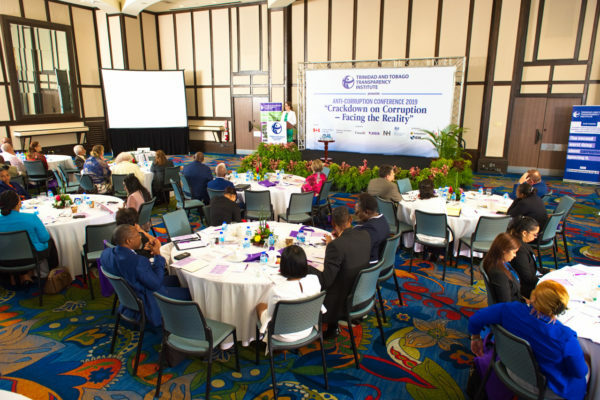 We have also seen where leading and now incumbent political parties in Barbados, St. Lucia and Bermuda have felt constrained to issue public statements of intent to establish replications of Jamaica’s independent Commission of the “Contractor General”, in an effort to send a signal to their respective electorates that they are serious about combating corruption in public contracting. In a similar vein, at least one opposition political party in Guyana, as recently as February, repeated its call for the urgent establishment of a Public Procurement Commission for that country. 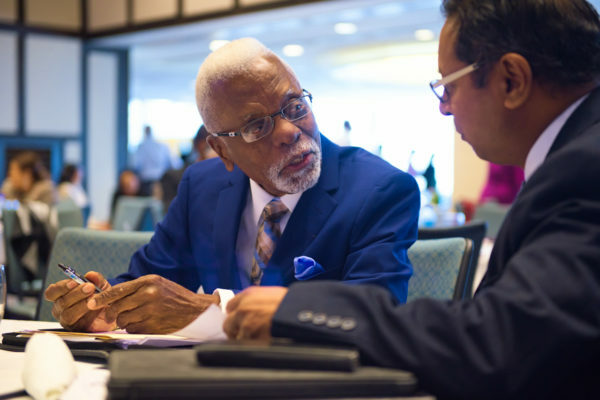 Closer to home in Trinidad and Tobago, considerable work has already been undertaken in developing and examining proposals for an improved national public procurement regulatory regime. The process has been led by a Joint Select Committee of Parliament with significant input from the Trinidad and Tobago Private Sector/Civil Society Group and others. His Excellency Anthony Carmona, SC, the President of the Republic of Trinidad and Tobago, has also added his voice to the call for change when, in his August 2, 2013 parliamentary address, he said that “the need for legislation creating a Contractor General to address the issue of tendering procedures must be considered”. These varied expressions of a desire to craft new and more effective ways to combat corruption in public procurement, in regional jurisdictions, are key steps in the right direction which should be commended and encouraged for expedited execution. In monetary terms, the illicit manipulation of the award of government contracts, and licenses, as well as the divestment of publicly-owned assets, have long been considered to be possibly the largest opportunity that exists for corruption in any country. Transparency International has estimated that, based upon surveys at the country level, the cost of corruption in public contracting, expressed as a percentage of the value of the contract, is an average of 10-25% and, in the worst cases, as much as 50%. When unscrupulous business-men agree to pay corrupt public officials kick-backs for the award of lucrative state contracts; when public assets are sold below value to the friends of politicians; or when government contracts or licenses are ‘tender-rigged’ and awarded to politically connected persons, or to corporate entities in return for political campaign donations; it simply means that there will be significantly less public funds available to build schools and hospitals, to fight crime, and to provide for the much needed public infrastructure and services, such as housing, roads, water and electricity, which in many countries throughout the region are today at sub-standard levels. In consequence, and although everyone in the society will suffer because of corruption, the most vulnerable – the poor – will suffer first and suffer the worst. Ultimately, the prospects for improving the socio-economic plight of an entire country are, at one and the same time, summarily impeded, compromised and undermined. As I had mentioned earlier, many within the region have come to regard Jamaica’s Contractor General Commission as the ‘gold standard’ for independent procurement oversight. Indeed, Belize has replicated the Commission from as long ago as 1994. However, and while the concept is a ground-breaking one with many useful features which, if strategically and dispassionately utilized, can drive fear into the corrupt, the construct is, nevertheless, in some respects, fundamentally flawed, and it is important that there is an awareness about this. It was arising out of the widespread public outcry about corruption in the award of government contracts, that the Commission of the Contractor General was established in 1983 as an Independent Commission of Parliament. The Contractor General was also granted security of tenure and security of compensation, and was thus literally insulated, by law, from any political maneuverings which could compromise his ability to carry out his functions in a fearless and dispassionate manner. 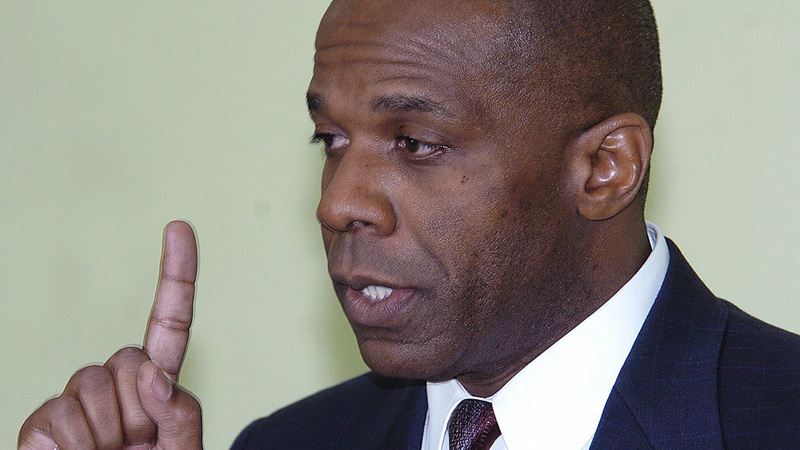 At the core of his functions, was his mandate under Section 4 of the Act to monitor the country’s 200 public bodies in their award of Government of Jamaica contracts and licenses, to “ensure” that same were awarded, and terminated, “impartially and on merit”, and in circumstances which did not “involve impropriety or irregularity”. Additionally, the Contractor General was also vested with a discretionary power to conduct formal investigations into a broad range of procurement related matters, inclusive of matters that were associated with the registration of government contractors. To facilitate the effective discharge of his functions, he was accorded the powers of a Judge of the Supreme Court of Jamaica, with wide quasi-judicial powers of enquiry, search, discovery and subpoena. Included among his far-reaching powers were his entitlement to be advised of the particulars of the award of any Government contract or licence, as well as his authority, with few exceptions, to secure unimpeded access to any public office, officer, person, document, record, information or thing which, in his discretion, he might deem vital to the discharge of his functions under the Act. Finally, to further re-enforce the enquiry powers of the Contractor General, the Act made provision for three (3) specified criminal offences – the failure to comply with a lawful requirement of a Contractor General; obstructing a Contractor General; and making a false statement to mislead or attempting to mislead a Contractor General. Later, in 1999, via an amendment to the Act, a complementary National Contracts Commission was established to evaluate and to register government contractors, and to independently review and endorse all recommendations for the award of government contracts over a defined value threshold. Over time, the Government Procurement Guidelines were also progressively strengthened. With all of this, a significant change was expected in the manner in which lucrative government contracts were to be awarded. Probity, transparency, competition, value for money, accountability, impartiality and regularity, were all considered to be the key deliverables that would thereafter characterize Government of Jamaica contract awards going forward. However, because of certain structural shortcomings in the Contractor General Act itself, together with other deficits and loop-holes which have been identified in the country’s procurement guidelines and processes, but which have never been remedied, the Contractor General regime, regrettably, has not been able to achieve its full potential. Paramount among its major failings is that although the Contractor General Act expressly mandates a Contractor General to “ensure” impartiality, merit, propriety and the lack of irregularity in the award of Government contracts and licenses, nowhere does it give him the power to bring to a halt a Government contracting or licensing process which he has good reason to believe is exhibiting signs of corruption, impropriety or irregularity; nor does it empower him to prosecute or to impose punitive sanctions in respect of any of these matters. Consequently, despite his enormous powers of subpoena and investigation, a Contractor General, in the final analysis, unless he is prepared to be strategic and aggressive in the utilization of his powers, is confined merely to filing reports, and making recommendations and referrals to the relevant state authorities. To compound the ‘toothless bulldog’ or ‘paper tiger’ effect of the foregoing, there has also been an almost systemic failure of the state’s law enforcement agencies to act upon the formal referrals and/or recommendations of Contractors General for criminal investigations or prosecutions to be pursued, or for civil and/or administrative sanctions to be imposed. A third shortcoming of the Act is that the sanctions that it imposes for criminal offences have remained literally unchanged for over 30 years. In consequence, they stand today at the ridiculously low level of a fine not exceeding J$5,000, or approx. US$46, and/or imprisonment for a term not exceeding 12 months. The penalties for breaches of the Procurement Guidelines are even more shocking at a maximum fine of J$1,000, or approx. US$9, and/or imprisonment for a term not exceeding 3 months. To the detriment of the state, all of the foregoing, when taken together, would have emboldened the corrupt to act with impunity, particularly since any risk/benefit analysis of the situation would conclude that it is beneficial to engage in corrupt conduct. Another major deficiency of the Act, which has significantly diluted the independence of the Contractor General, is that he has no autonomy whatsoever over his budget, his staffing or other required resources. He is essentially left at the mercy of the very executive arm of the state that he is mandated to monitor and to investigate, to provide him with the resources that he requires to effectively get his job done. Finally, it is instructive to record that the Commission is not entrenched in the Jamaica Constitution. It is, instead, governed by a simple Act of Parliament whose provisions can be arbitrarily interfered with should the government of the day feel, for example, that a sitting Contractor General has become too overzealous or intrusive. Perhaps, ladies and gentlemen, if I am to put it succinctly, in summary, the single over- arching reason why the Jamaica Contractor General regime has failed to fully secure the objectives for which it was established, is the lack of political will. There is absolutely no question about this, particularly because innumerable and repeated recommendations have been formally made by me, as well as by my predecessors in office, to the executive and the legislative arms of the state, and to successive administrations (a) to remedy the aforementioned deficiencies and to strengthen the effectiveness of the Commission, (b) to significantly enhance transparency, value for money, competition, and accountability in public contracting in Jamaica, (c) to strengthen the Jamaica anti-corruption institutional framework, and (d) to generally win the battle against corruption in Jamaica, but to no avail. There are, therefore, crucial lessons to be learnt from all of this, for it is important to recognize that the lack of political will can manifest itself in the creation of state anti- corruption mechanisms, and institutions, which are intended by the political directorate to appease its domestic and international stakeholders, but which, in effect, will prove, overtime, to be dysfunctional. Such structures are easily identifiable. While on paper they may look good, upon closer examination they will be found, either to be structurally deficient, flawed in construct, ineffective, inefficient, weak, lacking in teeth, lacking in critical resources, and/or led by political implants that are there to do the bidding of the political directorate. Once something like this is allowed to happen, the effectiveness of the state’s anti- corruption institutional apparatus will be undermined, and the institution or the mechanism in question will run the risk of being rendered literally useless. Regional states that are interested in designing effective independent national procurement regulatory and oversight anti-corruption regimes are, therefore, encouraged to be mindful of the foregoing, as well as to give careful consideration to the following remedial anti-corruption recommendations, many of which I have already formally advanced in Jamaica during my tenure as the country’s fourth Contractor General. (1) Establish a single independent anti-corruption state agency, with specialist resources, having exclusive criminal investigation and prosecutorial jurisdiction, and full police powers of arrest and detention, over all corruption offences. (2) Establish an independent procurement regulator to monitor and to investigate the award of government contracts, sub-contracts and licenses, with the objective of ensuring probity, transparency, competition and value for money in the said awards. It is imperative that the regulator be given the power to halt proposed awards in instances of suspected irregularity or impropriety. (3) Establish a corruption court to adjudicate all corruption related offences. In the alternative, give priority to corruption cases in the prevailing courts system. (4) Strengthen and enhance the independence, effectiveness, accountability and competence levels of existing anti-corruption institutions, regulators, monitors, investigators and prosecutors; and take all requisite measures to insulate them from government, political or third-party abuse, direction or interference. (5) Impose significantly tougher criminal sanctions, inclusive of minimum or mandatory custodial and economic based penalties, for all corruption and related offences. (6) Legislate standards of integrity and good-governance conduct for politicians and public officials, and enforce same via impeachment and recall provisos. (7) Continuously review anti-corruption laws to cauterize loop-holes, criminalize new developments in corrupt behaviour, and elevate existing sanctions, where necessary, to deter unwanted or deviant conduct. (8) Establish a national public register of corporate beneficial ownership and legislate appropriate political campaign finance laws. (9) Implement a national system for the de-certification, debarment and cross- debarment of government contractors. (10) Impose tough criminal and civil sanctions upon private sector entities for the bribery of public officials, and require them to develop, implement and enforce company-wide anti-bribery compliance programmes. (11) Impose added sanctions, inclusive of the imposition of term bans from office, and forfeiture of pensions, in the case of public officers who are found guilty of corruption, or breach of prescribed good-governance or integrity standards. (12) Require the public filing and disclosure of annual statements of assets, incomes and liabilities for all parliamentarians, politicians and critical-level public officials. Ladies and gentlemen, as I had said some years ago, while addressing another regional conference, corruption is a crippling, corrosive, destructive and evil vice which we can ill afford to take root in any of our regional jurisdictions. The World Bank has found that there is a ‘400% governance dividend’, or a 4-fold increase in per-capita income, that a country stands to gain by just deploying stringent good governance and corruption controls. Additionally, the Bank has also said that private sector enterprises will grow significantly faster – on average, by as much as 3% more in annual growth – where corruption is lower, and property rights and the rule of law are safe-guarded. The Bank’s assessments have been corroborated by other studies that have similarly estimated increases in growth, at the national level, of between 2% and 4%, in instances where corruption is controlled; and has compared the cost of corruption to a 20% regressive tax that foreign investors must face. It is, therefore, abundantly clear that in fighting corruption, we have everything to gain and nothing to lose. So, I implore you, let us join hands and be more aggressive and collaborative in our efforts to combat this cancer of corruption which has already undermined our trust in many of our national institutions, which is inhibiting some of our regional countries from attaining their full socio-economic potential, and which has already seriously tarnished at least three of our states in the eyes of the global community of nations and investors.